HKFP Editor-in-Chief Tom Grundy has joined with a group of human rights lawyers to file a judicial review against the government in light of its policy of barring online media outlets from government press conferences and press releases. In April, Grundy received an offer of assistance from Hong Kong’s Legal Aid Department, according to an editorial on the HKFP website. He is now seeking to link with interested parties and individuals to gather funds to begin proceedings. HKFP is not alone as other online news organisations face the same problem and all are struggling with with the government to get access since before the site was launched in June last year. The Correspondent, which supports his claim for a judicial review, has followed HKFP’s progress over the year. Its recent return to the crowdfunding arena was less than successful having failed to reach its target by a large margin. However, considerable progress has been made in terms of quantity and quality since HKFP opened for business. Positioning itself as a totally independent – and free – alternative news source, in its first six months HKFP attracted over eight million page views to its website and published more than 2,300 news and comment pieces. HKFP said that in January this year, the government’s Information Services Department stated that access to its online Government News and Media Information System was only made available “to registered or licensed mass news media organisations which include registered newspapers, periodicals and news agencies, as well as licensed TV and radio stations”. Separately, on October 27 last year, Grundy was barred from attending a weekly press briefing held with Chief Executive Leung Chun-ying despite presenting his HKFP and Hong Kong Journalists Association credentials. HKFP regularly covers matters involving the Hong Kong government. Its staff are all qualified, full-time Hong Kong Journalists Association members. HKFP Limited is a registered company with shared office space at Cyberport. It is the view of HKFP’s legal partners that hindering digital news outlets from access to government press conferences and press releases is a breach of the Hong Kong Bill of Rights Ordinance. 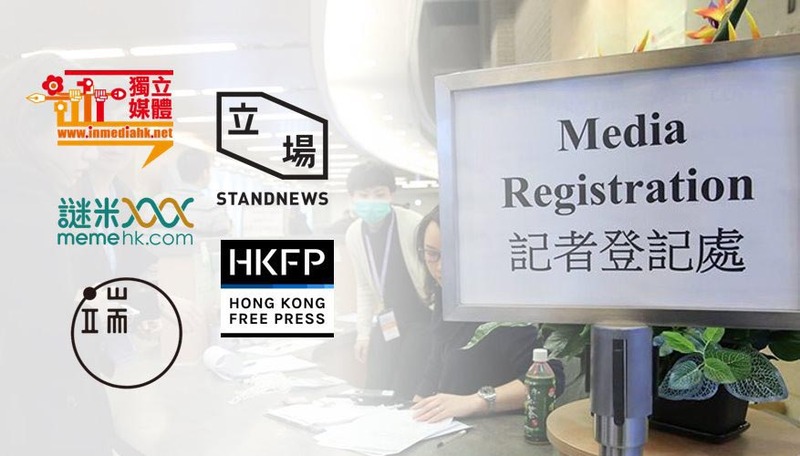 A document obtained by HKFP shows that foreign print publications and international broadcasters are among news outlets currently granted access to the online government information system, but digital media outlets are excluded. 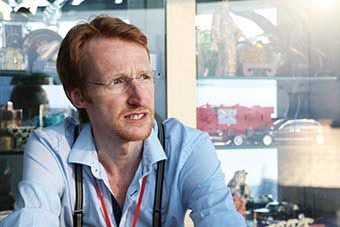 Despite the fact that the vast majority of Hong Kong’s electorate access their news through the internet, HKFP – as a digital outlet – has been obstructed in its ability to ask questions of public officials or obtain information on public affairs simply because it does not produce a paper edition. A Senior Counsel with experience in judicial review matters, said that there are “reasonable prospects of success for a judicial review of the policy”. Other media organisations, or interested parties and individuals, are invited to contact HKFP to assist in gathering funds to challenge the government’s outdated policy. Beer quality has improved markedly and we have updated our selection to reflect changing tastes. That means less lager, more draught beer. Our in-depth report on British peer Lord Paddy Ashdown’s guest appearance in November, where he shared his refreshingly frank views on the US-China relationship and a wide range of other issues. Allen Youngblood needs no introduction to the members of the FCC. He has been the man behind the music in Bert’s since it first opened in 1999. The images in this exhibition are excerpts from part two of the series: The Digital Age. There is one sure way for an individual journalist to make money online: lie through your teeth to an audience that is not interested in facts and welcomes these “alternative” facts as the new gospel: fake news is good news, if it suits you. 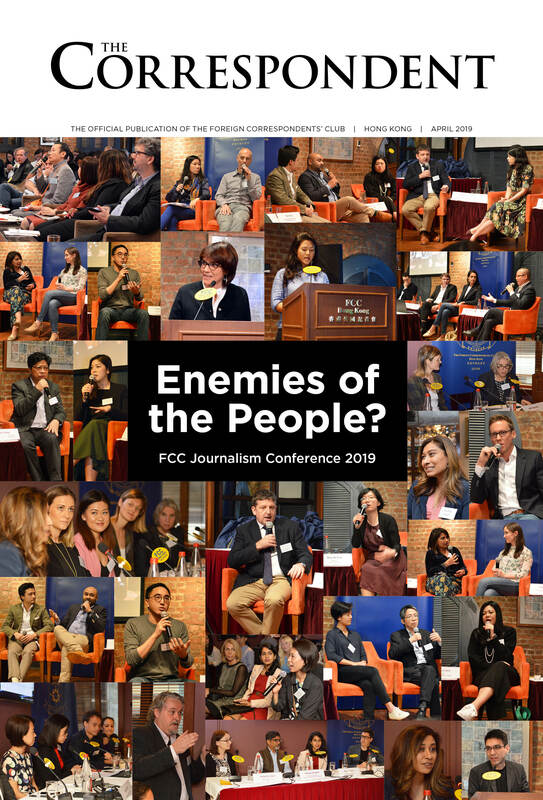 Journalism as it is conventionally understood – the printed word mediated by a pantheon of reporters and editors, the electronic media often regulated and constrained by law over content and ownership – has been besieged during the past few decades by technology, ideology and costs. The Journalist and Media Studies Centre and The Correspondent are putting together a programme where students from the JMSC will report on an issue related to journalism and media. US senators Marco Rubio and Tom Cotton’s bill, which replaces the US-Hong Kong Policy Act of 1992, was updated to reflect the latest political developments in Hong Kong. If you have some ideas that you want the Board to run with or maybe you would like to give your time and effort to the future of the Club, then you are encouraged to stand for the Board. Colleagues and friends of Clare Hollingworth pay tribute to the woman who broke the news of the outbreak of World War II. The staff, Board, members and guests put on their glad rags and competed in a bunch of drinking and eating games. It wasn’t too competitive as everyone got a prize. As Hong Kong police officers are jailed for beating an Occupy Central protester, by now, every force on the planet ought to realise that the world is watching, writes Francis Moriarty. Always the gruff gentleman, Mike could often be found holding up the Main Bar at the end of a late shift sharing his stories and strong opinions with the likes of Greg Torode and the late Walter Kent. The Semi-Buffet Lunch offers a choice of four main courses accompanied by a wide selection of appetizers, side dishes and desserts. What sets the China Coast Community apart from other care homes is that it’s the only one dedicated to assisting the English-speaking elderly in Hong Kong. Times change, as do the locations of press clubs around the world. Here, we look at our reciprocal arrangements with overseas press clubs.